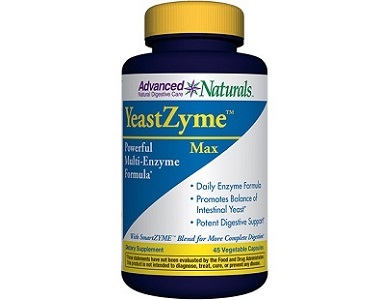 Advanced Naturals YeastZyme Max is the subject of our review in this article. 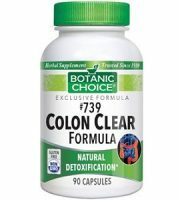 This formula is a multi-enzyme that the manufacturer claims can help maintain a healthy balance of intestinal bacteria. YeastZyme Max supports the detoxification of yeast overgrowth and helps to promote a balanced intestinal environment. 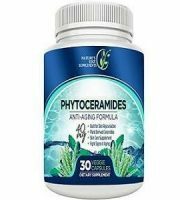 This supplement’s plant-based enzymes help to break down proteins, fats and carbohydrates, and enhance nutrient absorption. 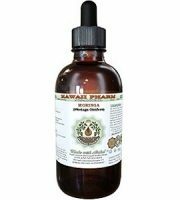 These ingredients work to balance the pH levels of the body, thereby maintaining a healthy urinary tract, which in turn helps to prevent yeast infections from occurring and lessen their effect if established already. YeastZyme Max is free from gluten, dairy, or artificial ingredients, but does contain egg. The capsule is made from vegetable fiber and water and therefore suitable for vegans and vegetarians. 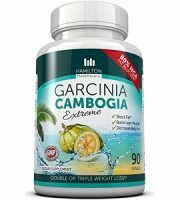 Take three capsules at night before bedtime, and at least two hours after a meal. 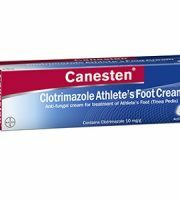 The manufacturer states that YeastZyme Max is only available from a medical practitioner, but we found it for sale on Amazon where a 60-capsule bottle costs $28.23. 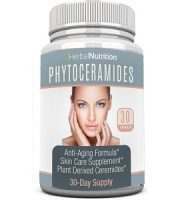 At the recommended dose of three capsules per day, a 60 capsule bottle is only enough for twenty days’ of use. There are no additional first time customer incentives nor bulk buying discounts offered by the manufacturer. Consult your physician before use especially if pregnant, nursing, are trying to conceive, have a medical condition, or are taking another medicine. There is no evidence of a manufacturer’s guarantee nor return policy on the manufacturer’s website. If you buy it and it’s not a good match or doesn’t help you, there is no recourse for a refund. 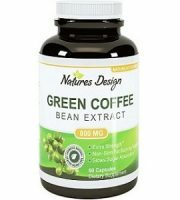 Among the things that we liked about this supplement are that it is free from gluten, dairy ingredients or artificial ingredients. 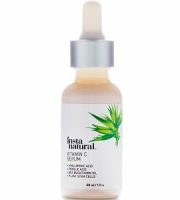 It is made from all natural non animal products and suitable for use by vegetarians and vegans. Among the less positive aspects are that there are no first time buyer incentives nor bulk buying discounts. 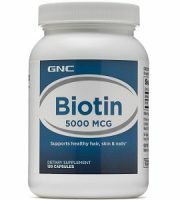 Pricewise, at $28.23 per bottle of 60 capsules, this is a costly product to buy since at the recommended dose of three capsules per day, a 60 capsule bottle is only enough for twenty days of use. Disappointing is that the supplement lacks any form of manufacturer’s guarantee or return policy. 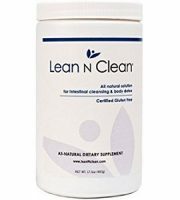 The website seems to suggest that the supplement is only available via specific practitioners, but we were able to find it for sale on Amazon. Is the company being dishonest or simply unaware that it can be bought on Amazon? 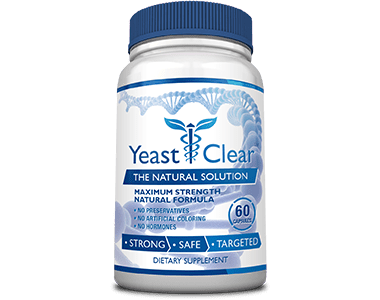 We recommend that you look for a yeast supplement that offers provides a guarantee and return policy, that is better value for money, and offers discounts for long term bulk purchases.